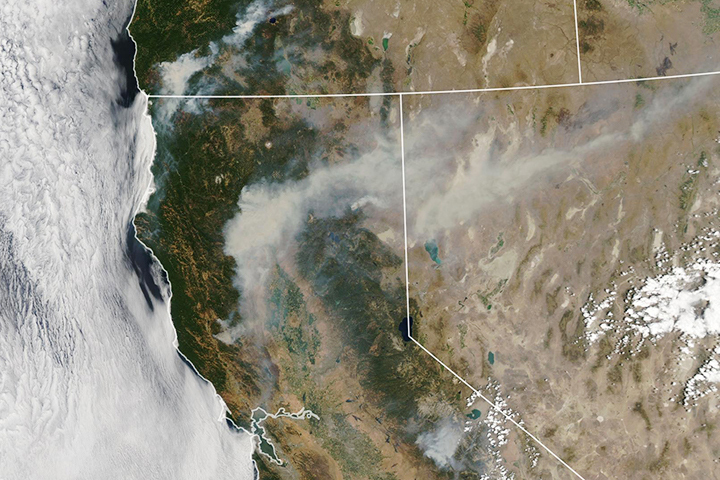 In early September 2018, yet another intense fire raged in northern California. 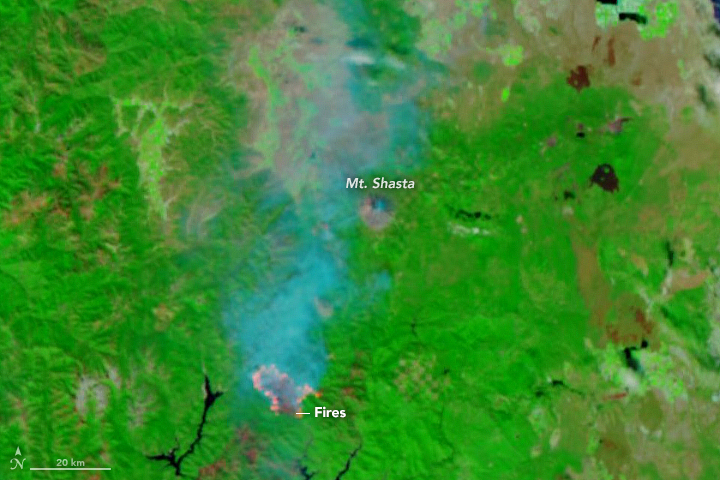 The Delta Fire ignited on September 5, 2018, near Lakehead, California. 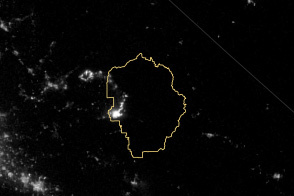 It followed several others that kept skies in the region smoky for much of August. 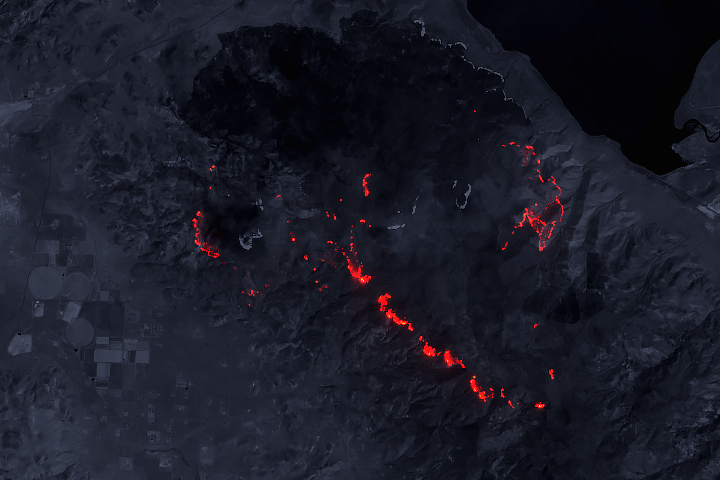 The Visible Infrared Imaging Radiometer Suite (VIIRS) on the Suomi NPP satellite acquired these images of the blaze on September 6, 2018. 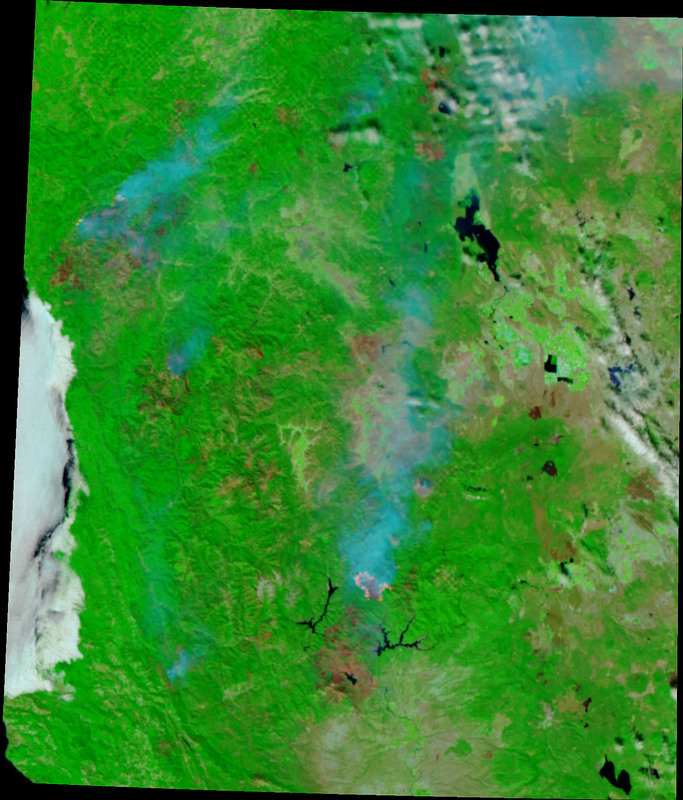 In the natural-color image (left), a thick smoke plume streamed north from the fire, spreading a pall over Dunsmuir, Black Butte, and other towns along Interstate 5. 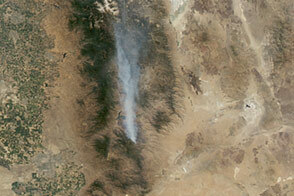 The false-color image (right), which includes bands of shortwave infrared light, reveals the hot fire fronts (orange) and the burn scars (gray) left in the wake of the fire. 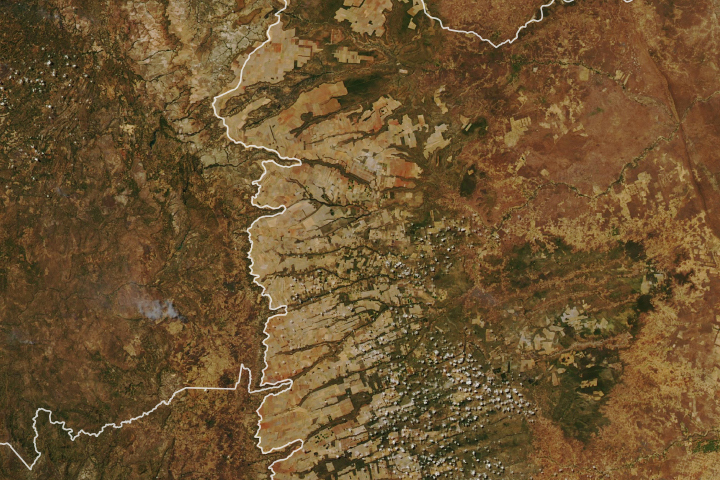 Scientists from the University of Wisconsin-Madison noted the presence of a towering pyrocumulonimbus cloud billowing from the blaze on September 5. 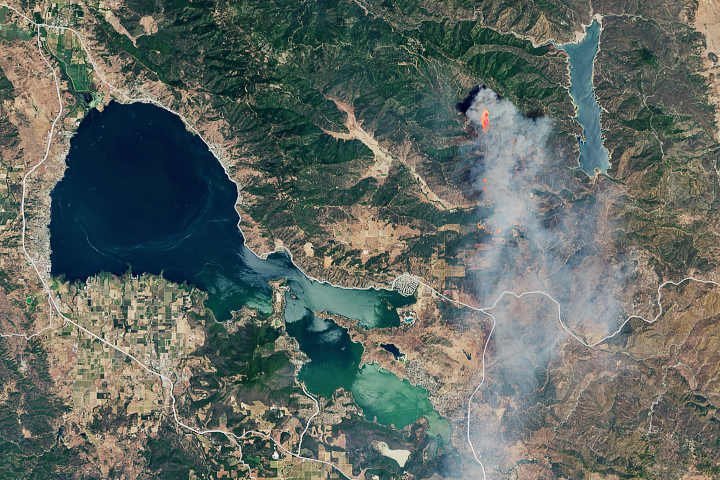 The fire had charred roughly 22,000 acres (8,900 hectares) by September 7, 2018, and was making its way through rugged terrain of conifer forests, according to InciWeb. Firefighting officials expects the blaze to continue spreading along its north and northwest fronts due to a cold front that will bring gusty winds. With the fire burning on both sides of Interstate 5, several drivers offered harrowing accounts of trying to escape the blazes. At least four trucks and several homes have been destroyed, according to news reports. According to statistics from Cal Fire, 4,587 fires have burned 613,710 acres in California this year (through September 2, 2018). That is nearly four times the average burned in the state in each of the past five years. 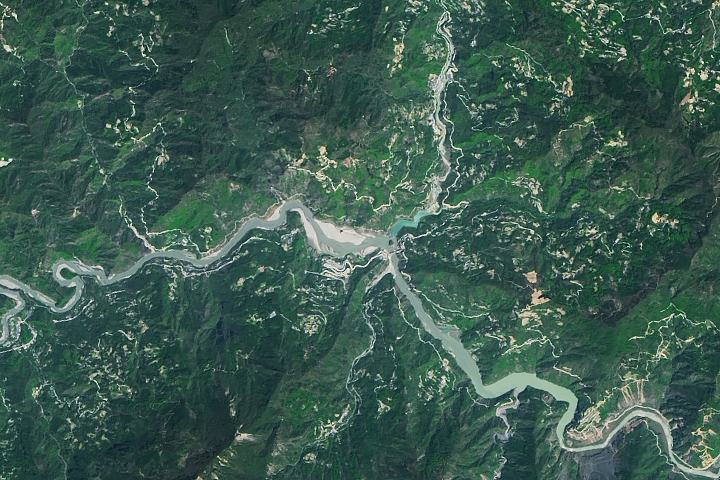 NASA Earth Observatory images by Joshua Stevens, using VIIRS data from the Suomi National Polar-orbiting Partnership. Story by Adam Voiland. 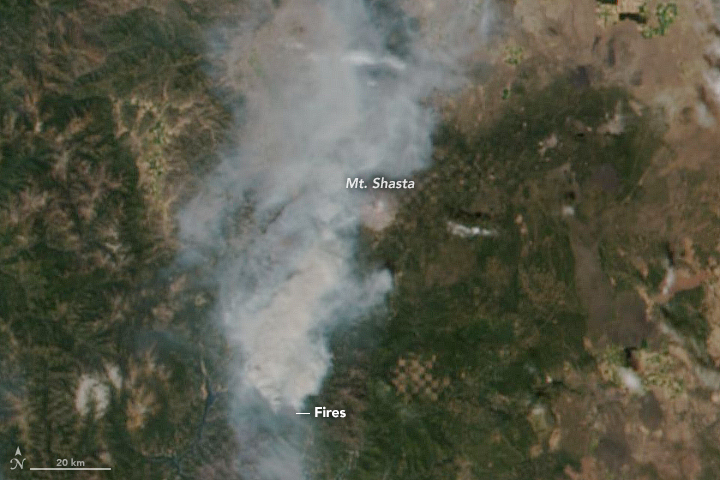 The fast-moving Delta Fire is one of several that have cast a pall of smoke over the region this summer. 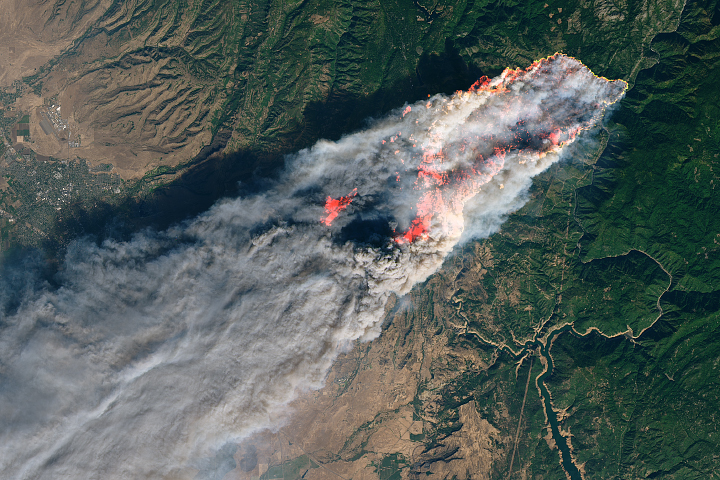 CNN (2018, September 7) Wildfire races across Northern California counties, shutting down parts of I-5. Accessed September 7, 2018. 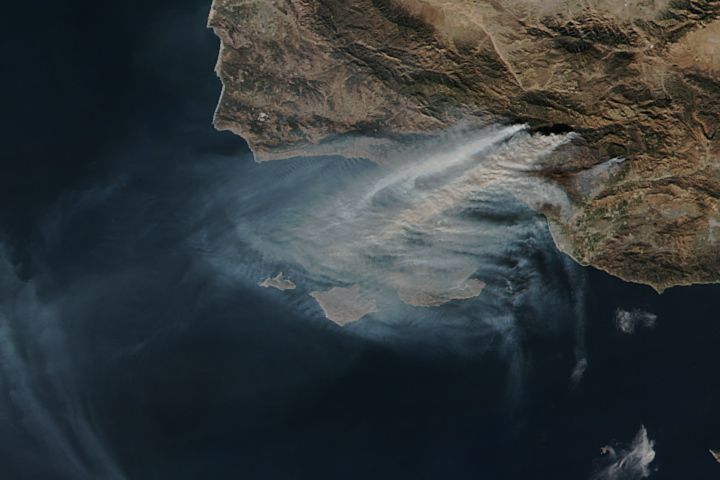 InciWeb (2018) Delta Fire. Accessed September 7, 2018. Los Angeles Times (2018, September 7) Hundreds of drivers fled Interstate 5 as the fast-moving Delta fire surrounded them. Accessed September 7, 2018. 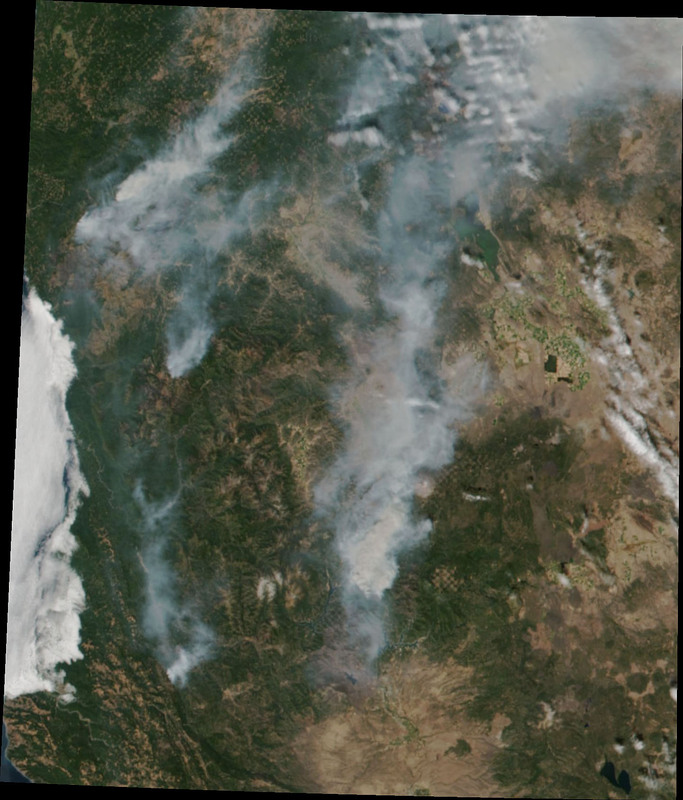 The Sacramento Bee (2018, September 7) Fast-moving Delta Fire tops 22,000 acres as Interstate 5 remains closed, officials say. Accessed September 7, 2018. 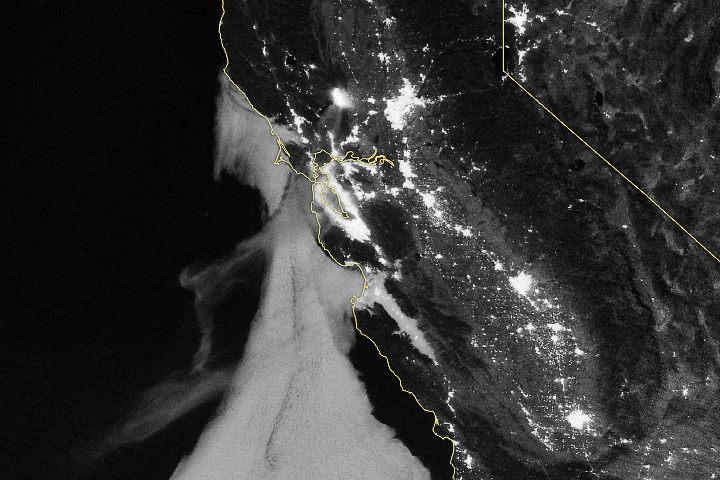 University of Wisconsin-Madison CIMSS Satellite Blog (2018, September 5) Delta Fire pyroCumulonimbus cloud in California. Accessed September 7, 2018.